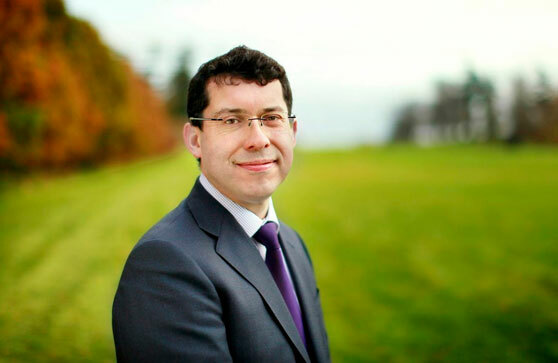 Rónán Mullen was born in County Galway and grew up in Ahascragh, Co. Galway. He attended primary school in Kilglass National School and secondary school in Holy Rosary College in Mountbellow. He went on to obtain a BA degree in English and French from University College Galway (now NUI Galway). Rónán was elected president of UCG Students’ Union (now NUI Galway Student’s Union) in 1991–92. 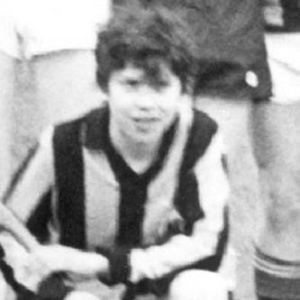 He then obtained a master’s degree in Journalism from Dublin City University in 1993. After working as a teacher for a year in Liberties Vocational School, Rónán was appointed in 1994 to the post of Administration Officer for Academic and Student Affairs in Dundalk Regional Technical College (now Dundalk Institute of Technology) where he worked until March 1996. From 1996 to 2001, Rónán worked in the Communications Office of the Archdiocese of Dublin and appeared as a spokesperson for the Archdiocese and Cardinal Desmond Connell. He was called to the Irish Bar in 2003. In 2007, Rónán ran for the Seanad on the National University of Ireland Seanad Panel; he obtained the second-highest number of first preference votes (4,661) and after a two-day count secured the third seat. In 2011 he was re-elected to the Seanad, topping the poll with 6,459 (19%) of first preference votes. In his contributions to date Rónán has emphasised issues such as the right to life, protections for the victims of human trafficking, support for improved end-of-life/palliative care in hospitals, maintaining Ireland’s commitment to Overseas Development Aid, and social welfare protection for the economically vulnerable. He was a member of the Joint Committees on Social Protection as well as the Joint Committee on European Affairs. Rónán is currently a member of the Joint Health Committee and Comhchoiste na Gaeilge, na Gaeltachta agus na nOileán. On January 2010, Rónán replaced the late Deputy Tony Gregory as an independent member of the Irish parliamentary delegation to the Council of Europe in Strasbourg, where he joined the European People’s Party (Christian Democrat) group, the largest political group represented in the Council of Europe. He became the first NUI Senator to be appointed to the Council of Europe, and only the second Independent Senator to be appointed. Rónán was a member of the Committee on Migration, Refugees and Population and an alternate member of the Social, Health and Family Affairs Committee. With other members Mullen tabled amendments to restrict access to abortion, and was also vocal on behalf of migrants’ human rights, freedom of conscience and victims of human trafficking in the Council. 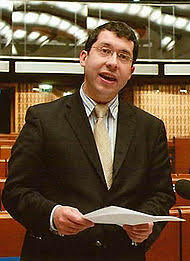 In October 2010 Mullen together with the Chairperson of the European People’s Party at the Council of Europe, Luca Volontè, led the way in pushing through 29 amendments to the McCafferty Report. The McCafferty Report initially intended to severely restrict the right of medical staff to refuse to participate in procuring an abortion, but in the end was transformed into a resolution affirming the right to conscientiously object to abortion. Christine McCafferty, a former British MP and main author of the original resolution, said during deliberations that she sought to force private and religious hospitals and clinics to perform abortions. The report was widely expected to carry in its original form. The final resolution of the report read: “no person and no hospital or institution shall be coerced, held liable or discriminated against in any manner because of a refusal to perform, accommodate, assist or submit to an abortion […]”. Remarkably, McCafferty, the original author of the report, was forced to vote against the final resolution due to its radical transformation. The report was eventually entitled “The right to conscientious objection in lawful medical care”. Rónán was appointed Rapporteur on ‘The Provision of Palliative Care in Europe’, a report commissioned by the Committee on Social Affairs, Health, and Sustainable Development of the Council of Europe. His report on the Provision of Palliative Care in Europe was unanimously adopted by the Council of Europe Parliamentary Assembly in November 2018. Mullen formed the Human Dignity Alliance as a new political party in June 2018. The party is pro-life and was founded in the aftermath of the abortion referendum. The party is registered to contest future European and Oireachtas elections and Mullen has stated they are interested in hearing from prospective candidates.